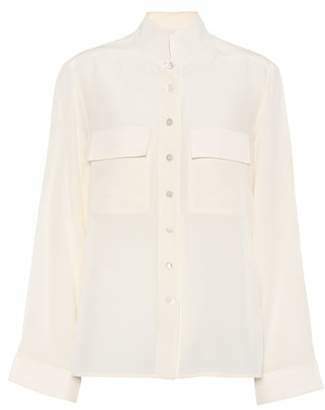 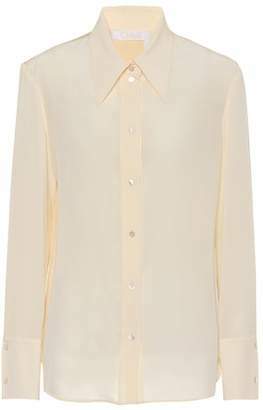 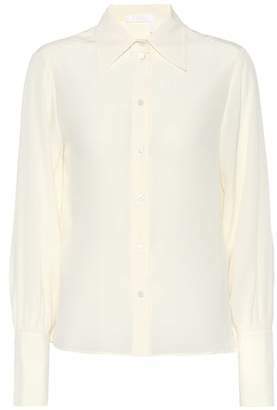 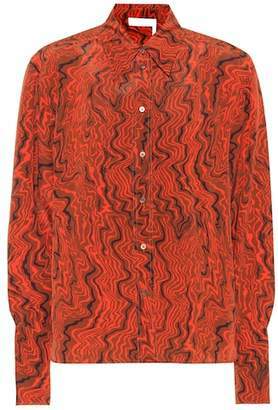 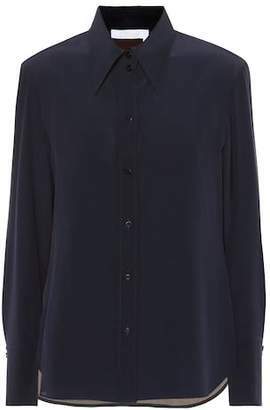 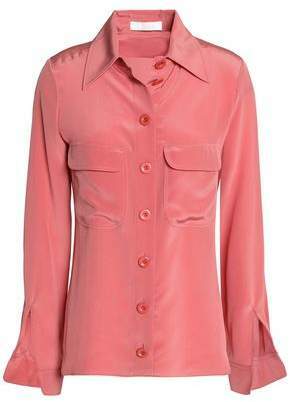 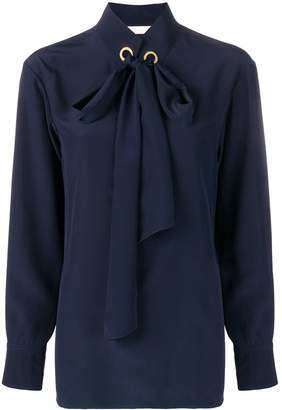 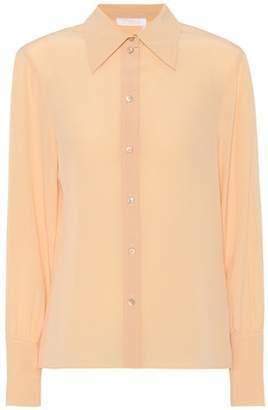 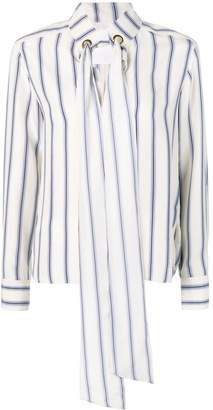 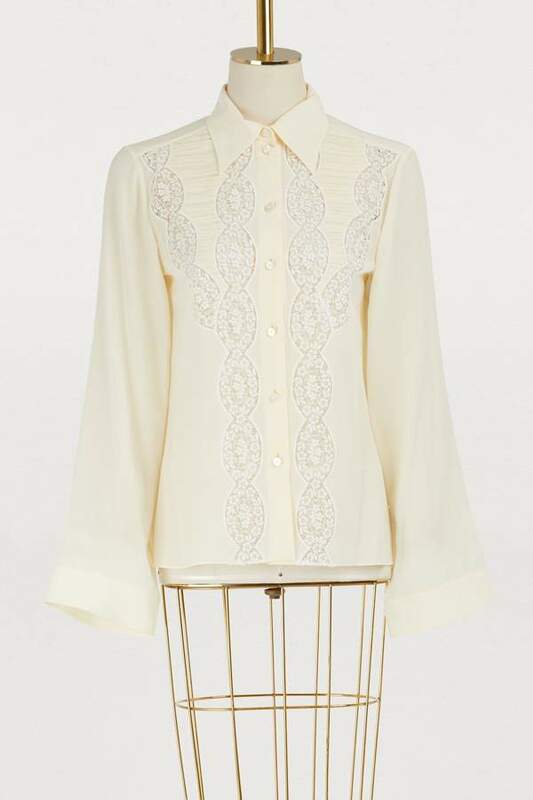 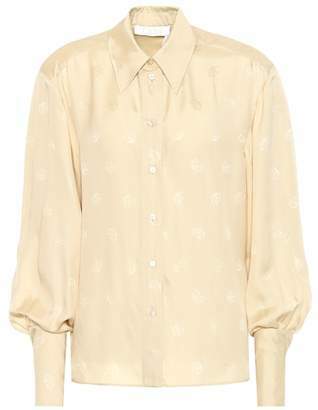 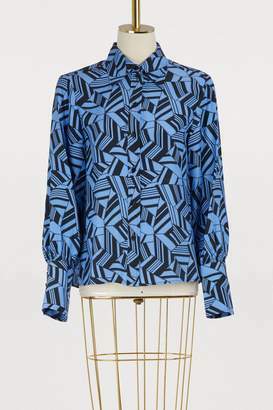 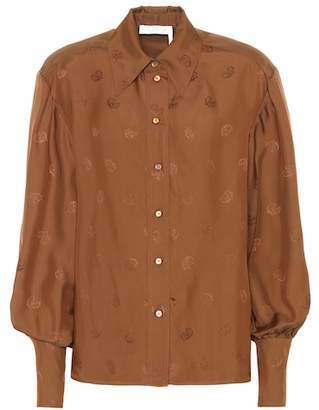 Combining revisited tailoring and feminine glamour, this silk blouse by Chloé is an ode to Parisian elegance. 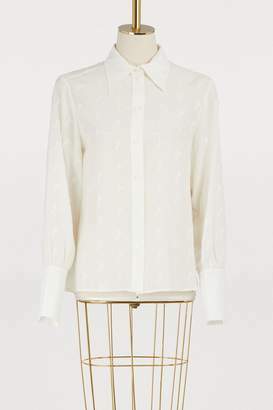 Its floral lace inserts are interspersed with delicate pleats. 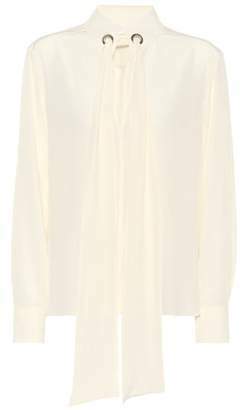 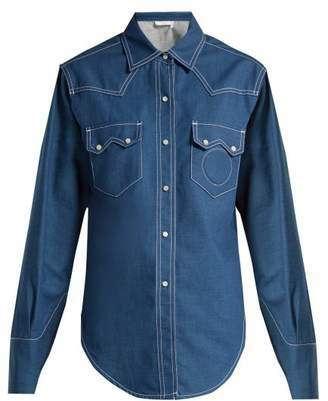 Tuck it into a pair of slightly flared jeans for a romantic, modern shape.